Pre-Owned Watch. 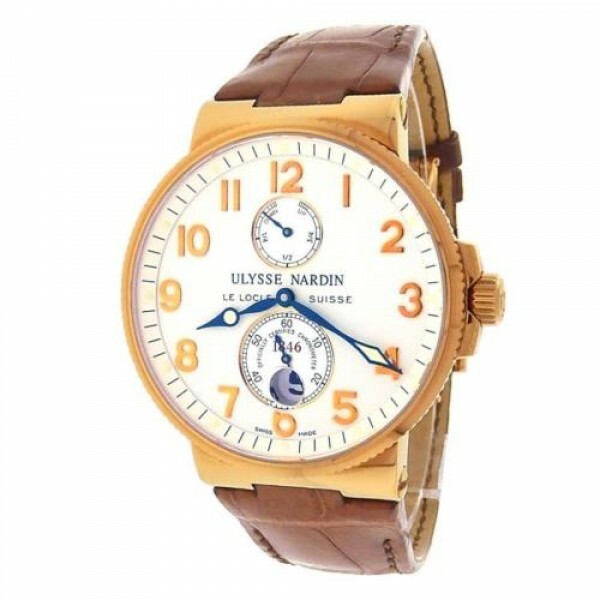 Own this beautiful Ulysse Nardin Maxi Marine automatic watch and enjoy its 18K Rose Gold case and Brown Leather Strap with White dial. Watch features a Power Reserve Indicator. Watch is pre owned however in great overall condition showing minor sings of usage. Watch is sold with box and papers. Wear it in great health.